We have quite a few projects coming up! Waldron Designs has done hundreds of kitchen and bath remodel projects, but refacing is still fairly new on our list of achievements. It was important for these homeowners to preserve the counters they recently purchased. I couldn't be more thrilled and honored to have the privilege of assisting with the Mukai House restoration project. This will likely be an ongoing project, but we plan to get started on the design work late Spring 2018. To learn more about Mukai House and donate to Friends of Mukai, visit their website here. A good friend came to me asking for advice on purchasing a spec home and getting the right architect to make the necessary changes. Of course, we jumped right in and asked if we could be of assistance. 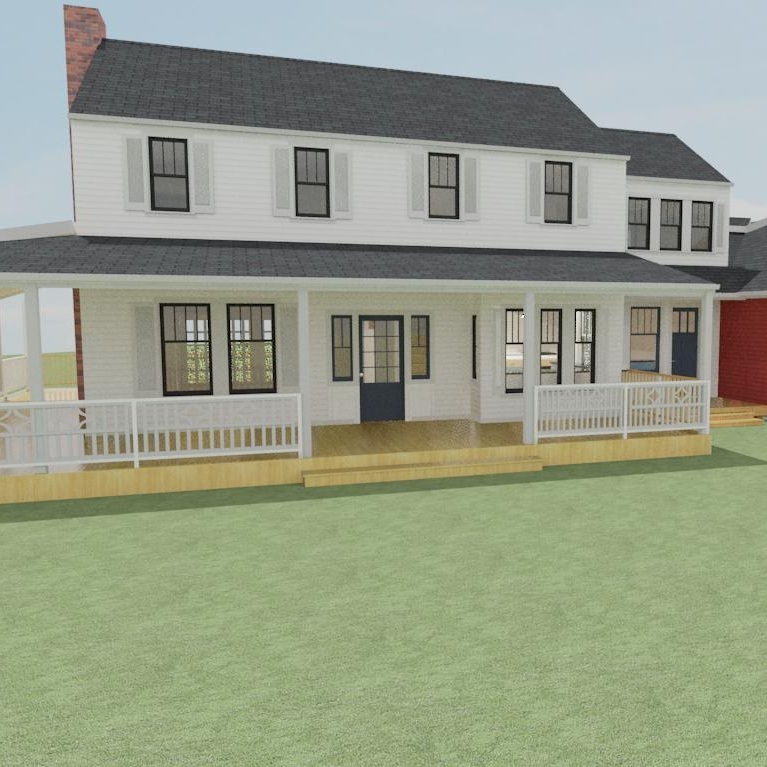 Many people don't think of an interior design firm for this type of project, but we are thrilled to make these changes to create the home that is desired for this wonderful family! This master bath was uncomfortable for the couple and did not meet their modern design aesthetic. We focused mainly on the finish and fixture selection for this project. It is under construction now, and we look forward to seeing the finished space. This couple may possibly be the kindest and most considerate, loving pair I have had the pleasure to work wtih. When something didn’t work out, each defaulted to caring for the other and meeting their spouse’s needs first. The result will be a bathroom full of love. We met this client during a consultation for a realtor. The client was looking at a home that required significant renovation work and were trying to determine whether it was worth it. Perhaps it was my blatant honesty that it just wasn’t worth it that brought them back to me when they did find the house that was worth the effort! The existing home was designed to resemble an old farmhouse, but the proportions and interior aesthetics reflect a bit too much of the 70’s time period that the home was built. 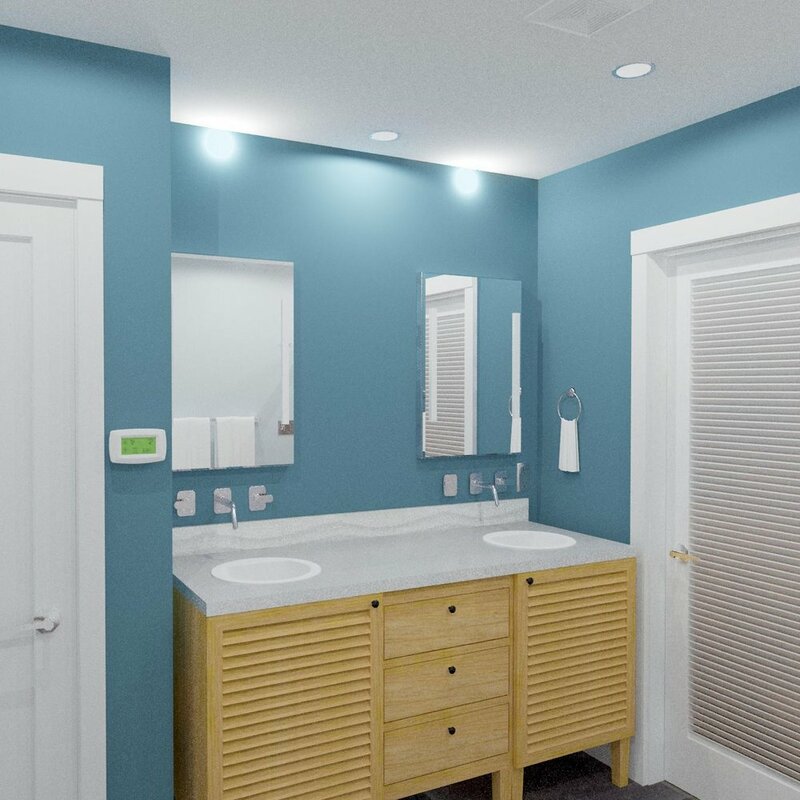 The owners of this home are ready for a full house remodel, starting with this little bathroom. Sometimes updating one space gives us the teaser and relaxation of seeing potential for our entire home. We all know and love the Vashon Lavender Hill Farm. It has become a landmark and the kind of tourist attraction we are proud to boast about. The owner is very receptive to feedback and has employed our services to expand the store and better serve her visitors. Visit the website here, and be sure to follow them on Instagram! More always on the burner! The projects above are some of our larger scale projects, but Waldron Designs takes equal pride and excitement with the many other smaller projects we are working on, which include a refresh of an unwinding space and guest bathroom, a home addition, several color consultations, and hourly consulting services. Rachel Waldron takes great pride in her ability to plan and organize projects so that each client's needs may be met within their budget and timeline.